Are you going au naturale with your wedding theme? 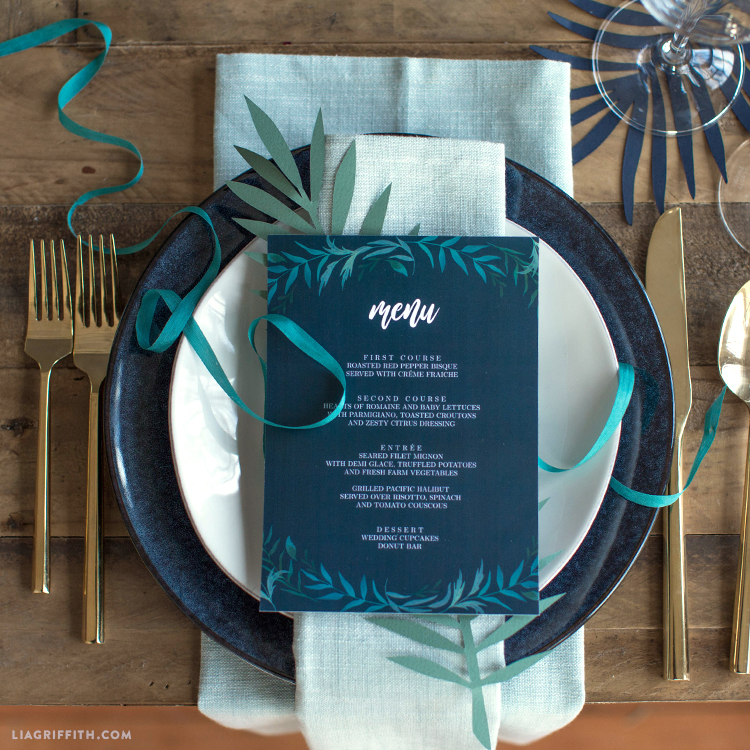 We’ve created a menu template so you can go green on your special day. 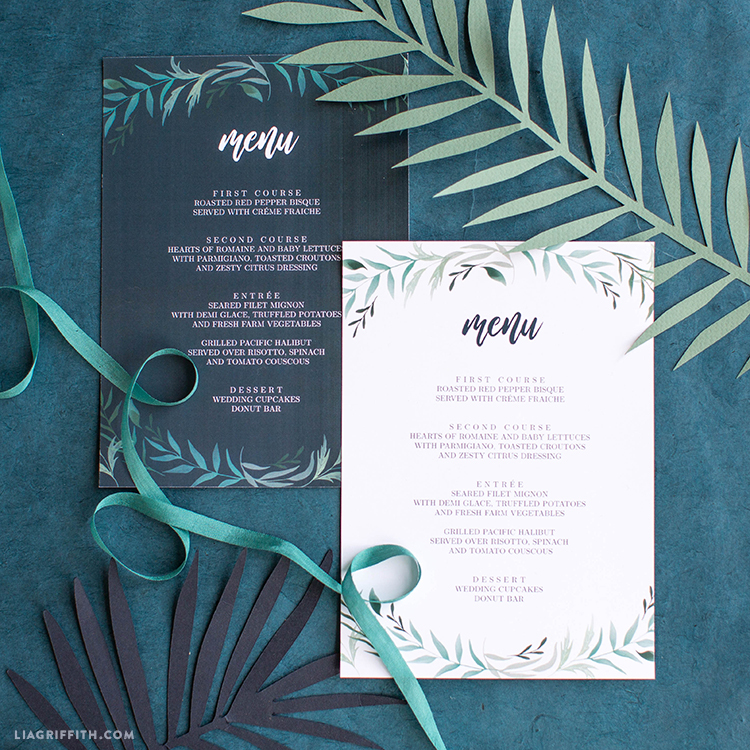 These printable wedding menus perfectly complement the rest of our greenery wedding invitation suite. They too feature gorgeous watercolor greenery by Laurel Autumn. We’ve included two color options so you can decide to go with a dark blue background or stick with the classic white. Scroll down to download and print your menus below. The PDF downloads we’ve created are fully editable for you to personalize with the free fonts Latin Modern Roman and Wild Ones. We recommend printing the suite onto a plain or frosted white cardstock. 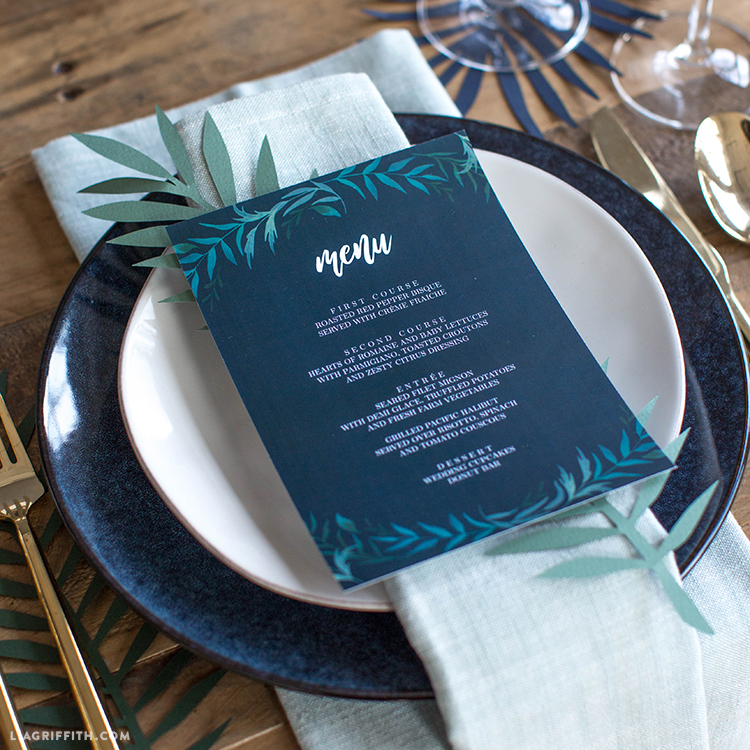 Once printed, simply cut your menus to their 5×7″ size and they’re ready for the main course! For further DIY inspiration, join us on Instagram, Facebook, and Twitter. To start crafting with us, sign up for your very own Lia Griffith membership today!